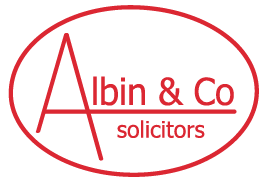 Albin and Co has a standard private client rate. In certain circumstances this rate may be negotiable or we may be able to agree a ‘fixed fee’ so that your costs do not escalate beyond your means. If you are paying privately in connection with a criminal matter if your defence is successful in the Magistrates’ Court, an application may be made for a Defendant’s costs order so you may recoup some, or all of your privately paid fees. Unfortunately, this does not apply for cases which are heard in the Crown Court.